Developer Update: Battle Pass is coming! Buck from RedLynx here with some news about a brand new feature, coming to South Park: Phone Destroyer in our next big update! The team has been hard at work on this and we think you’re all going to enjoy it. We’re bringing you a BATTLE PASS! Some of you may know what a Battle Pass is, or at least a general idea of what this will be, but fear not, I’ll break down the basic information about it and let you know what you can expect from this. What is a “Battle Pass”? 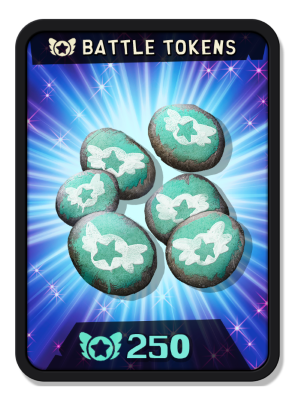 A Battle Pass is a seasonal set of rewards, which you can earn by collecting “Battle Tokens”, just by playing the game. 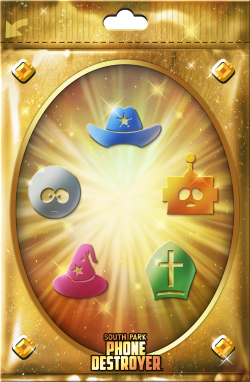 These rewards will contain some exclusive outfits for your New Kid, Coins, Upgrade Materials, Card Packs, Cards, and even Cartman Cash. These rewards will be spread out through 60 Tiers and each tier will need 100 Battle Tokens to complete. There will be a ton of places to earn Battle Tokens from, depending on your PvP arena. As your PvP arena gets higher, you’ll have more places to earn Battle Tokens from and you’ll also get higher quantities of Battles Tokens. You can see the entire table down below, but I’ll give a few examples here! 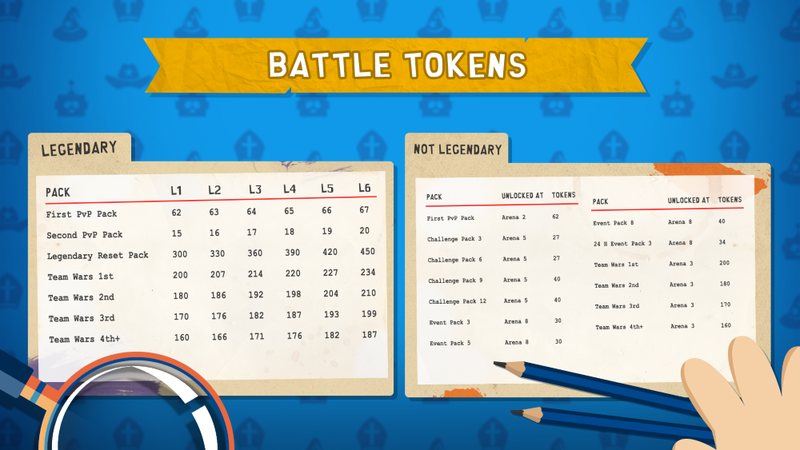 At Arena 2 you’ll get 62 Battle Tokens from your first PvP pack of each day, in Arena 5 you start to earn Battle Tokens from some Challenge mode packs, for one Challenge per week (3,6,9 and 12 wins) and in Arena 8 you start to earn Battle Tokens in event packs (solo packs 3,5 and 8) as well. In the Legendary Arena, you’ll earn the most amount of Battle Tokens and you’ll be able to earn them from just about everywhere: First and second PvP packs each day, Challenge Mode packs (one time per challenge run at 3,6,9 and 12 wins), weekend solo packs 3,5 and 8, 24h event pack (pack 3), Team Wars Packs and the Legendary Season reset packs. There is a Free Pass and a Premium Pass . 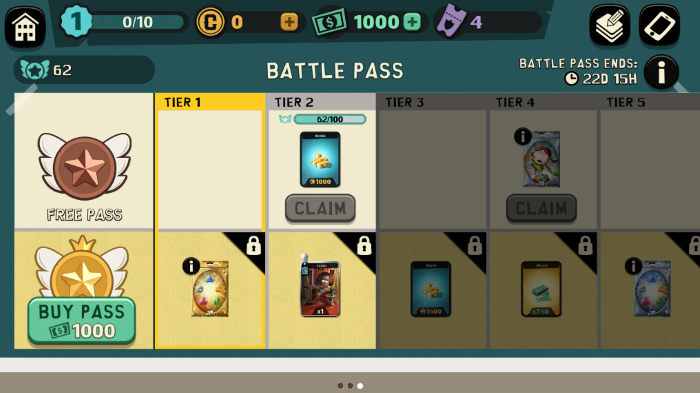 The Free Pass, which is available for everyone who has progressed to Arena 2 in PvP and the Premium Pass, which is available for 1000 Cartman Cash. Both versions of the pass have rewards that can be obtained and you can unlock the Premium Pass at any point during the season and you’ll be granted all of the previous reward tiers that you have unlocked. Q: How long does the Battle Pass last? A: The First Battle pass will last 63 days. Q: What happens if I buy my Battle Pass late in the season? A: You can buy the Premium Pass at any point in the season and you’ll be able to claim any of the previous reward tiers you have already completed. Q: Can I keep working on my Battle Pass after the season ends? A: No. After the Battle Pass season ends, you’ll have some time to claim all of the reward tiers you have earned (if you haven’t already claimed them), but the next Battle Pass season will start right away, so you’ll be able to start earning NEW rewards from then on. Q: What kind of rewards does the Battle Pass have? A: The Battle Pass will have rewards ranging from Coins, Upgrade Materials, Cards, Card Packs, Outfits, Cartman Cash. We’ll also have 2 new kind of packs with the Battle Pass: Epic and Legendary packs. The Epic Pack (left) will contain 3 to 13 Epics, which scales up with your PvP Arena and the Legendary Pack (right) will have 1 Legendary card. There will be a Legendary Pack in both the Free and Premium Battle Pass. That’s all we have for now, but if you’ve got any questions let us know! Until next time, we’ll see YOU on the streets of South Park! Hello Buck thanks for the update, I've got a comment and two questions. I don't know how many games have this I've only seen it in fortnite and it's an interesting step for the game. However I think that features that provoke a massive participation from the community, (because I assume many people will want to get your battle pass anyways) can only be considered once the community priorities have been satisfied. There has been a long standing problem with double hit glitches, matches where you take your opponent's bars but it ends up in a loss anyways, losses from opponent left the match, and many others that haven't been fixed yet, so how can we truly enjoy all of the new features, specially the ones where you need to pay to get, if all of these bugs are still around. You've told your community in many past streams that the team was working extra hard in the server side update, which is suppposedly capable of fixing many of the problems. That's the one feature I was expecting to hear more about in this update, so my question would be, is server side still being worked on? and if so, can you please give us a new estimate of its release?, thank you. So just to be clear, those who purchase the premium pass would get both the rewards from the premium battle pass as well as the one everyone gets? So we will change from a system where we were earning cash to a new one where we will have to spend cash ? Cool, I think the battle pass is a good idea. Everyone can participate. Great idea. How many tiers with rewards will there be? Also would it be possible to have some rewards be flexible like you can choose either adventure, sci-fi, mystic, fantasy or neutral material pack etc. So, Toller, Buck, you guys just avoid to answer Void away's very fair point about sever side, which you originally promised for last summer, and for many months you don't mention or ignore the questions around them? It's just not fair with the community imo! Cheers. So this is why the chat/donate page was never moved back to it's original spot. Perhaps move the chat/donate page and have this new feature in the garage with the TvT stuff.